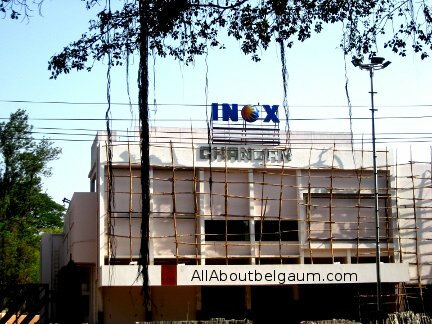 The date is out Inox Chandan will open its doors Belgaum cine goers from June 4th. The INOX Chandan will have THREE SCREENs and total capacity of 897 persons. Disclaimer: opening date has been told to us by our sources and some technical snags could take the launch forward. I hope INOX can provide a better service den ADLABS @ a economical price…. isn’t this pic quite old?n u guys had published it way back..y not n updated view. I hope these 3 screens does not fall into the footsetps of GLOBE,BALKRISHNA AND ARUN !!!!!!!!!!!!!!!! !